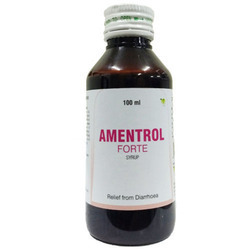 Being a quality focused name, we are instrumental in offering the superior quality of Amentrol Forte Syrup. 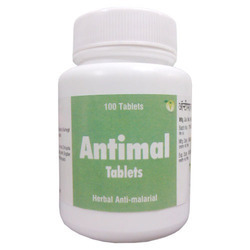 It combination of Ayurvedic herbs for the treatment of Malaria. It also improves appetite and stimulates digestion. Kali mirch, Chirayta and Sagargoti and Giloy are renowned febrifuge drugs combined together they not only act as useful antiperiodic but bitters serve as a mild calagogue. Stomachic and Tonic. This is particularly important in the cases of malaria and more so in the patients who are exposed to frequent attacks. Pippali and Ginger aids Digestion. U-Gyanetone Forte 'Capsules is an ayurvedic formulation, Over 10% of women in late adolescence or early adulthood suffer from 'Polycystic Ovary Syndrome', popularly referred to as 'PCOS' amongst the medical fraternity. Like diabetes, PCOS is mainly a lifestyle disorder. U-Gyanetone is a powerful phytoherbal formulation indicated for treatment of polycystic ovarian syndrome (PCOS).U-Gyanetone forte capsules contains Haridra, Shatapushpa, Shatavari and four other active herbs. Haridra is a anti-inflammatory and cleansing herb, Shatapushpa regulates menstruation cycle whereas Shatavari is a women's tonic. 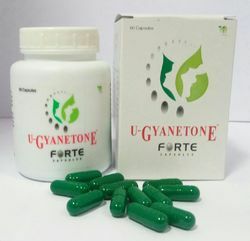 U-Gyanetone forte capsules are manufactured by an advanced extraction process that maintains efficacy of each herb. U-Gyanetone Forte employs a holistic approach to the treatment of PCOS from the root level. It has no side effects and the formulation has been developed after five years of research. Useful in treatment of PCOS and its associated complication. 1 cap twice a day for at least 3 months or till symptoms persist or As directed by the physician. 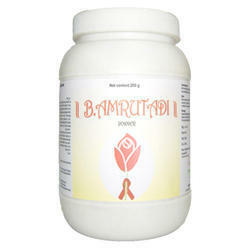 Being a fast-moving organization, we are highly instrumental in providing B. Amrutadi Powder. 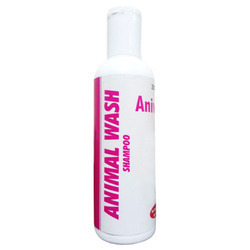 Being a client-centric organization, we are involved in offering the best quality of Animal Wash Shampoo. Backed by well qualified and experienced professionals, we are engaged in offering Falkon Rollon Oil. Improve production and secretion of milk. 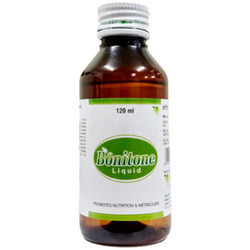 Counted as first among the best, we offer the best grade of Bonitone Liquid Syrup. UNIJULES LIFE SCIENCES LTD. started its business processes in the year 1932 as the foremost growing Manufacturer, Wholesaler and Exporter firm forming superior quality Ayurvedic Medicines. With an aim to provide good health to everybody, we are effective in providing a wide assortment of highly effective medicinal products, including Pharmaceutical Syrups, Pharmaceutical Tablet, and Pharmaceutical Capsule. Our extensive array of quality approved pharmaceutical products is developed through improvements in life sciences emerging in an advantageous series of medicines that is specially formulated, safe to use, highly effective, packed in moisture-proof packaging and have a greater life. We have realized the center technologies of pharmaceutical sciences and reliable manufacturing criteria to produce a highly effective line of medicines. 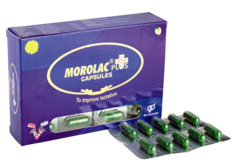 Moreover, our offered medicines are thoughtfully formulated utilizing excellent quality chemicals and active elements rooted from approved vendors in the industry. To manage the models of the treated formulas, we have administered technological improvements at our labs and processing divisions. Our team members are committed to delivering good health for our people by providing highly effective and cost-efficient medicines to the broad number of clinics, medical colleges, and health care organization across the country.